How Does Well Water Work? Home » Well Drilling » How Does Well Water Work? If you live in a city or town, you don’t have to think or worry about getting water every day to your house. Your home may have a constant supply of water, so all you have to do is to use the tap to get the amount of water you need. But when you move away from civilization, getting water to your home is not going to be simple. In this case, homeowners have to depend on a well water to meet their daily requirements. The good news is that the water supply is completely independent of the neighbor that lives down the road. 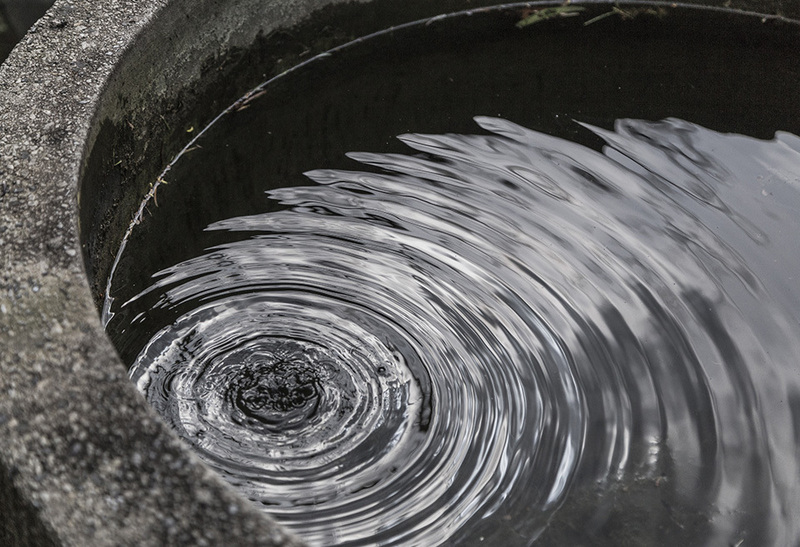 If you have moved into a home with well water, and are not exactly sure how it works, then there is no cause for alarm, as you will find everything you need to know about it right here. Before you go any further, it is important for you to know where a well is actually placed. Wells are located according to your state’s minimum isolation distances, also referred to as “separation” or “setback” distances. The purpose of having a minimum isolation distance is to ensure the well is far away from your property, or your neighbors’ property. This also prevents any chances of contamination. Before water well drilling gets underway, several factors are taken into account i.e. the location of power lines, septic systems or unidentified pockets of gas. Once all is clear, and the perfect location has been identified, the well is constructed. New household wells are lined with well casing, which basically is PVC pipe. The casing is anywhere in between 4-6 inches in diameter and extends from the top of the surface to the aquifer. Said casing gives you access to groundwater and a way for you to extract it. The casing ensures contaminants, rocks, sediments, and soil does not make its way into the well. Additionally, it may also serve as housing and protection for the pump and other equipment. For the casing to do its work, it has to be vented and should have a cap to insect-proof and weatherproof it. If the well pumps water from a gravel or sand aquifer, then, in that case, a well screen is a must. It is attached to the very bottom of the casing where its function as a strainer or sleeve allowing water to move through it while keeping gravel and sand away from the well. The rotary drilling method results in a borehole that is larger than the casing. The space between the borehole and the wall of the casing is known as the annular space. Once the well casing has been installed in the borehole, the annular space needs to be filled to prevent contaminants and surface water from entering the well. Basically, grout is used to fill said space and is a combination of cement, water, and bentonite clay. After drilling is complete for a well, the loose sediments, cuttings and drilling mud needs to be removed from around the screen and the well. This entire process eases the process of water flowing into the well. There are a number of techniques for the development of a well, like injecting water or air into the well to pump water at higher rates than usual. The only way you can get water out of a deep well is by a pump. A typical home water well pump system consists of a pressure storage tank, pitless unit or adapter and a pump. It is also responsible for controlling devices that ensure the entire system operates automatically. Pumps are primarily used to lift or push water from the well to your home. The size of the pump and motor depends on the water level in the well, plumbing fixtures, and the well diameter. For drilled wells, a submersible pump is mostly used, and it consists of a motor unit and a pump. While, jet pumps are used for wells that are 4 inches or less in diameter, and the pump is located on the top of the well since they have a lower operating pressure. When water is being pumped, it is moved to a tank. While this is happening, the water causes the air in the tank to compress until it reaches a preset level, after which it causes the pump to shut down. When a tap is opened, the air pressure in the tank causes the water to flow through the pipes, until the tank reaches another preset level causing the pump to start moving water to the tank again. Even though wells look simple enough, there is a lot that needs to be taken into account to prevent problems in the long run. If you want to continue to have a steady supply of clean and fresh water, you will need to pay close attention to your well’s maintenance. As long as you take care of your well, you will get all the clean water you will ever need without having to worry about paying more than you should for cleanups and repairs.